Liberty Pump S38 is 1/3HP Automatic Submersible Sump Pump with a piggiback wide-angle float switch and 10ft power cord. 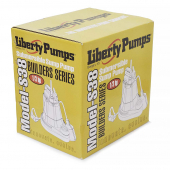 This Liberty Pump has 1-1/2" NPT discharge and 1/4" solids-handling with higher intake screening that helps reduce debris from entering the pump compared to bottom suction designs. 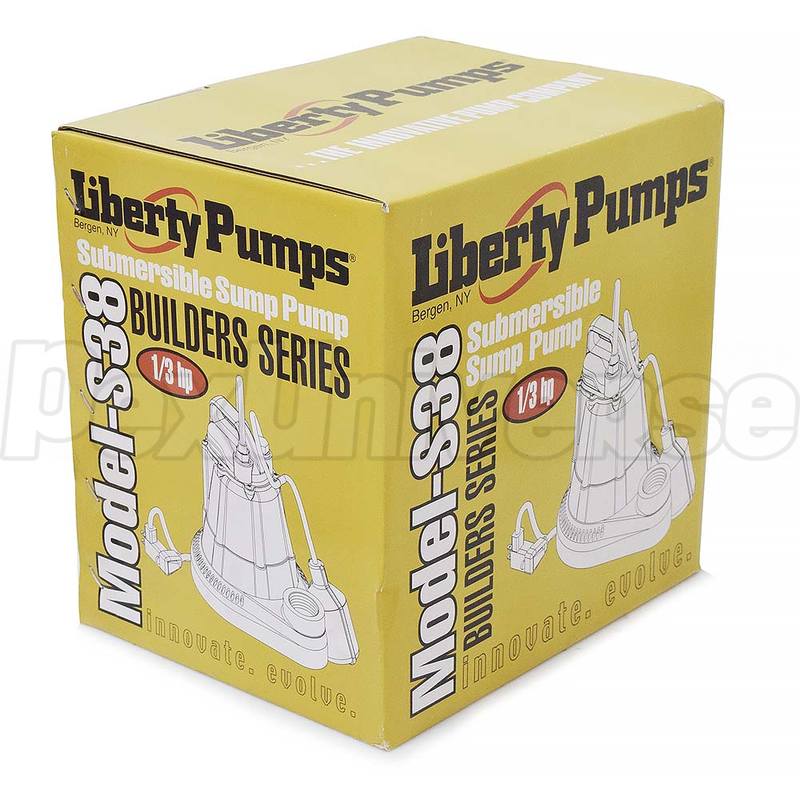 The Liberty Pump S38 comes with two cords - one to operate the switch and the other to the pump motor. The switch cord has a series (piggyback) plug enabling the pump cord to be plugged into the back of it. 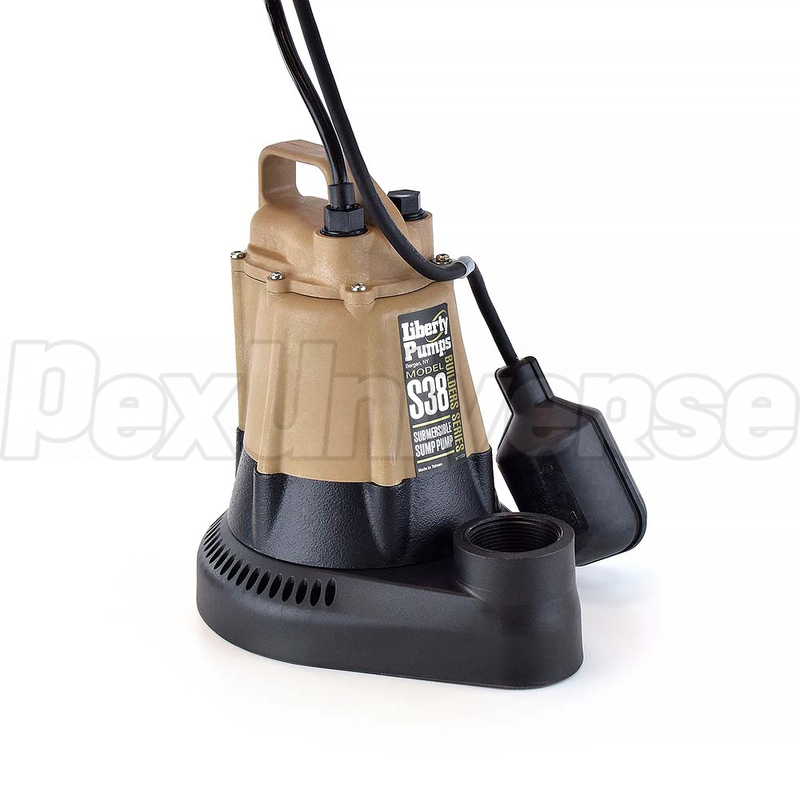 This allows manual operation of the pump separate from the switch if necessary. Turn-on level of the switch is 12" and turn-off level is 3.5". 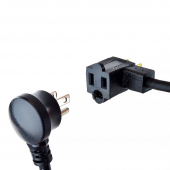 For automatic operation with the included switch, the two cords should be interconnected and plugged into a separately fused, grounded outlet of proper amp capacity for the pump. 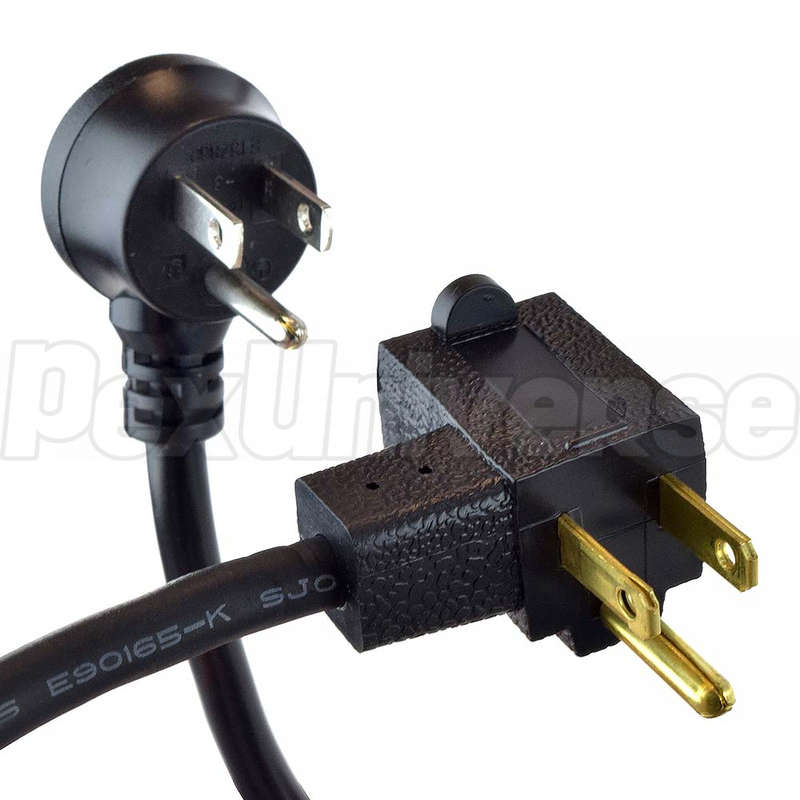 Both cords are equipped with 3-prong plugs and must be properly plugged into a properly grounded 3-wire receptacle. DO NOT REMOVE THE GROUND PRONGS. 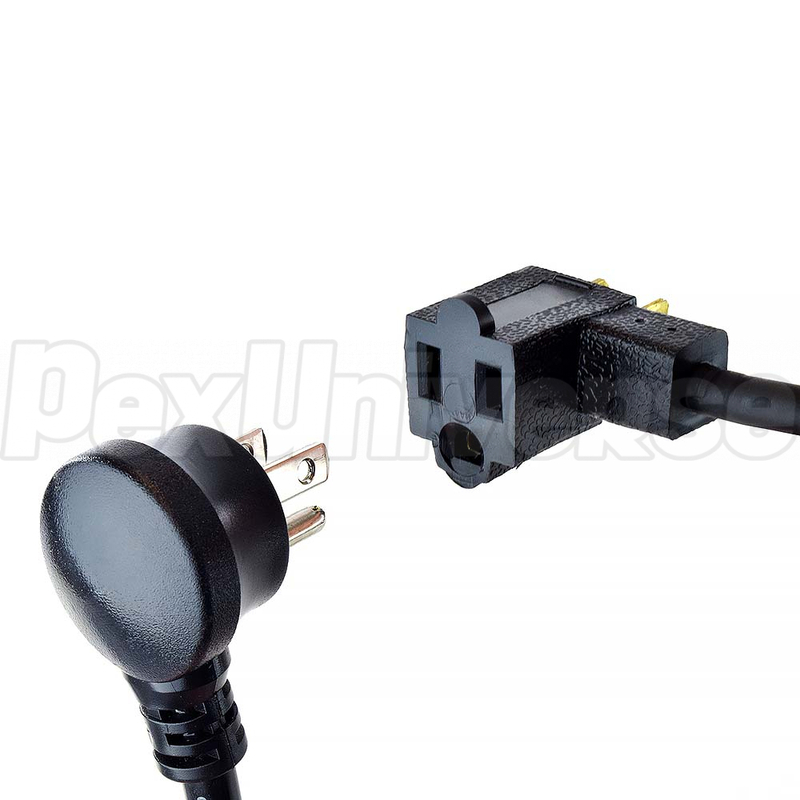 For manual operation, or in the event of switch failure, the pump cord can be separated and plugged directly into the electrical outlet, bypassing the switch. 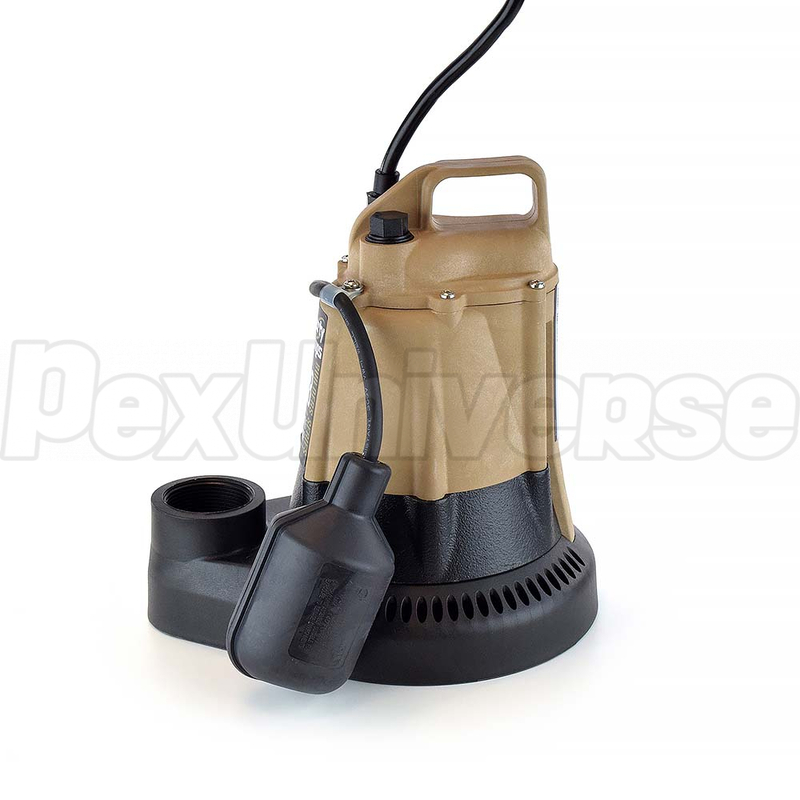 The unit can be operated by directly plugging the pump cord (from the motor) into an approved electrical outlet. 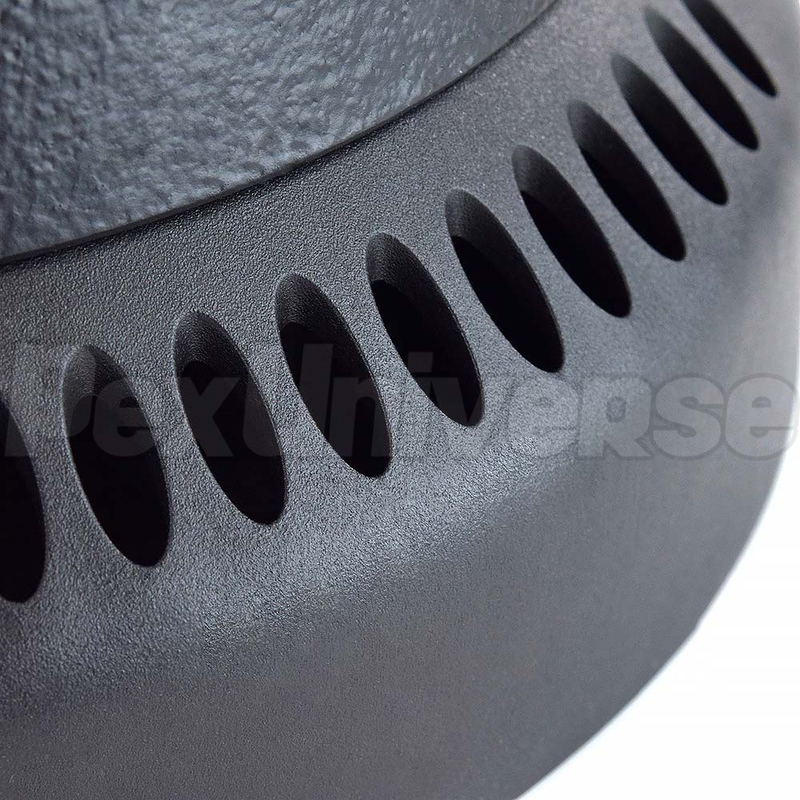 To prevent excessive seal wear and overheating, the pump should not be run dry for extended periods of time. 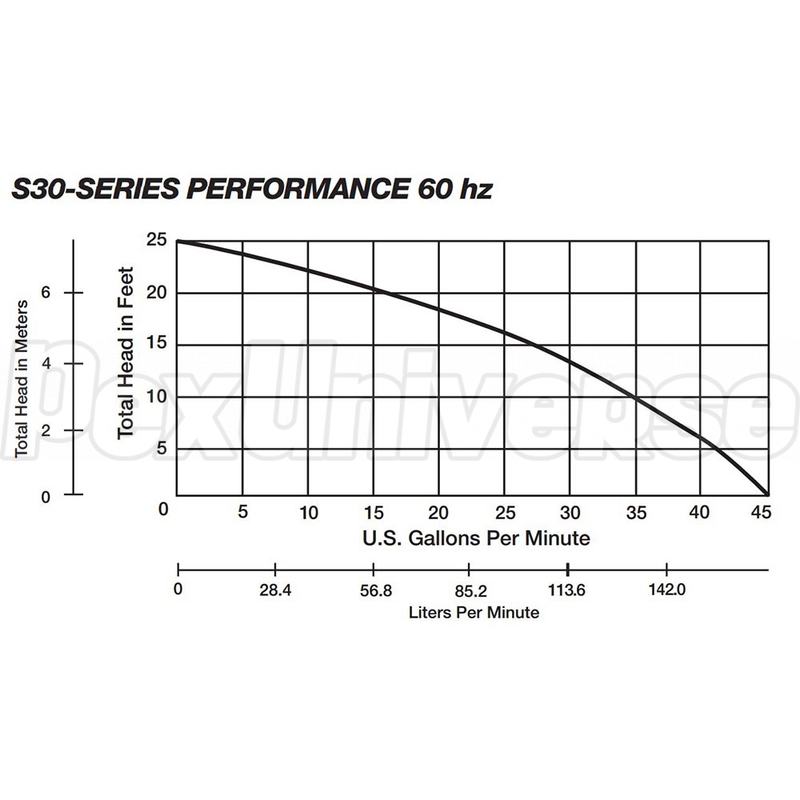 A minimum 2-1/2" water level is recommended. 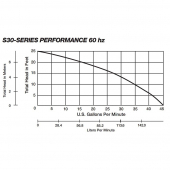 Solids Handling: up to 1/4"